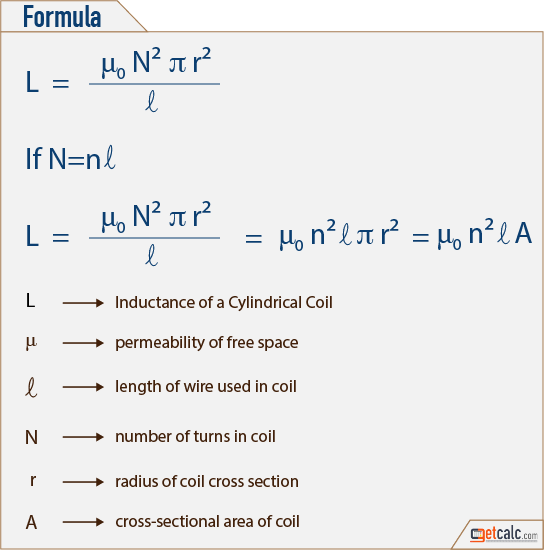 getcalc.com's Coil Inductance Calculator is an online electrical engineering tool to calculate magnetic field strength of a coil or solenoid wrapped around the core. Inductance is an effect of magnetic field produced by a insulated coil wrapped around the core (generally known as inductor), when current passing through it. It's measurement unit is henry (H).